AVENGERS: AGE OF ULTRON (2015). Director: Joss Whedon. Cinematographer: Ben Davis. I love superheroes. I loved superheroes long before the 21st century’s obsession with comic book films was anything more than a dream. And yes, part of that goes back to a childhood of grabbing comics from the local sellers and catching up with my favorite characters. But even as an adult, I not only find that I still love superheroes, I find that I admire them even more. It’s something that extends beyond whatever superpowers the characters possess or whatever otherworldly foe they may be battling. It’s because at their best, these heroes possess a set of ideals worth striving for. Each character has their own personality and hence their own outlook at the world. But one thing tends to unite these people. It’s a sense of justice, a sense of banding together to help those in need, a sense that we do our best work together even when there are elements of society that seem to be doing their best to pull us apart. It’s not the heroes, it’s the heroism. It’s a lesson lost on some comic adaptations and reason enough to be glad to see the Avengers back in action. AVENGERS: AGE OF ULTRON brings back our core team of Marvel superheroes and with it that sense of heroism, even if certain members of the team make drastic and foolhardy decisions that threaten the world as much as any supervillain. The film drops us right into the action with the Avengers leading a force against Baron Von Strucker’s Hydra compound (an event teased on the television series AGENTS OF S.H.I.E.L.D. – See? You get something from watching that show.). As the Avengers take care of Hydra agents, Tony Stark ventures inside to recover Loki’s magic scepter, last seen in 2012’s AVENGERS film. Tony also downloads all of Hydra’s information so the team will have a better way to combat any future threats to security. But just as Stark downloads the files for the team, he makes sure he copies all the information to his own private network. One catalyst for the events of this film is Wanda Maximoff (Elizabeth Olsen), known to comic geeks as the Scarlet Witch. Her psychic powers give each of the Avengers visions which range from manipulative hallucinations to portents of things to come. Stark is the first to receive such a vision, one of his friends beaten, shattered, and dead. This vision combined with the data recovered from the Hydra base gives Stark the impetus to develop Ultron, a peacekeeping protocol he had envisioned with fellow Avenger, Bruce Banner. Ultron would be an artificial intelligence tasked with protecting the world against future threats. The two are unable to get the program to work, but it would seem something – and we never do find out what – jump starts to program into being. When Ultron (James Spader) awakens, he takes a robotic form and uses Stark’s own Iron Legion as his drones. One of his first acts as a conscious being is to attack the Avengers. Ultron wants the world to evolve and in order to that, he must save it from its greatest threat – humanity. This would indeed be Ultron’s one reason for being, at least if this were the comics. 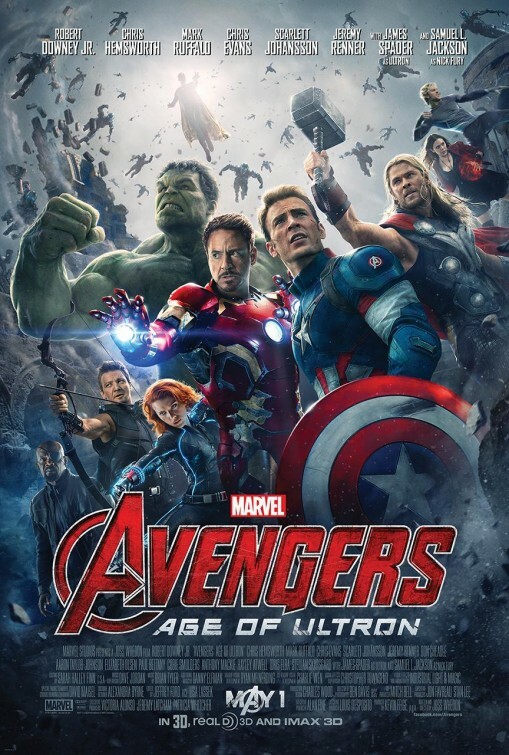 But AVENGERS: AGE OF ULTRON takes a few liberties, just as these films often do. In the comics, Stark isn’t even the creator of Ultron. But before we go any further, I want to state that I am no purist. After all, comics themselves have been rebooted and retconned ad nausea, so why shouldn’t films offer their own interpretation of the material? In the case of Ultron, this is a being with major daddy issues. Ultron is not developed, slowly coming into sentience and realizing a mission beyond its standard protocols. It blinks into existence and immediately sets upon its path of destruction. This leads to the most intriguing and problematic issues with the character. Ultron fancies himself a supreme intelligence and is able to absorb endless streams of information to back up that claim. But at best, he is a child and hence exhibits a stunning amount of immaturity. He is able to create an army of robotic slaves, but all with his own programming and sentience. Ultron does not play well with others. Like many children, he resents his creator and is prone to fits of anger whenever anyone invokes the name of Tony Stark. The idea of Ultron being a child is a fascinating one as he develops is own rudimentary understanding of the human race but lacks the experience or earned education to back any of it up. It may also explain why his master plan turns out to be a bit wonky. Ultron attempts to engineer an extinction level event and believe me, it’s an unbelievably silly one. If humanity is ever extinguished in a manner similar to the plan Ultron devises, I am heartily embarrassed for our species. He also fails to devise what would seem to be some very obvious contingency plans should his plot backfire. Thus, while it’s interesting to imagine a destructive form of artificial intelligence in its infancy, it’s also hard to take Ultron seriously as a real threat. It doesn’t help matters that in his main form, Ultron looks like the Tin Man’s pretentious nephew, the one prone to bragging about his novel to local baristas. Of course, it is the motivation of another character that might take many audience members by surprise. Ever since the original IRON MAN, Robert Downey, Jr.’s interpretation of Stark has been of a thrill-seeking genius, always ready with a wink and a quip. While this performance has become iconic and a breath of fresh air across all films of its type, this isn’t quite the impression you would get from reading the books. And though AVENGERS is content to make alterations to certain characters, Stark is actually becoming a character closer to the one represented in the comics. He still has all the choice lines of dialogue, but it’s more plain than ever that those one-liners are a shield that mask a very real sense of fear. AVENGERS: AGE OF ULTRON is a thoroughly entertaining summer movie adventure, one that delivers on most of what was promised. It cannot match the 2012 film in terms of payoff but honestly, that may be asking a lot. After all, back in 2012 what we were seeing was the culmination of a great experiment, one whose ambition has never been attempted before. For four years, Marvel had developed their characters in their own films and peppered hints of a possible team-up throughout various films over the next few years. THE AVENGERS was the first chance to see this team-up in action and as a finishing move, it was executed brilliantly. For Phase 2, we have seen the characters bleed into each other’s films and it was made clear early on that the events from each film would play into AGE OF ULTRON and even the two (!) INFINITY WAR films still several years away. So, freshness is an issue as is the case with most sequels. Another issue is just how crowded things have gotten. Right away, we are treated to a computer-enhanced tracking shot featuring all of the Avengers fighting on separate fronts. That sense of lumping everyone together doesn’t go away. Just look at that plot synopsis I went through. It seems huge and likely pretty darn nerdy. But all of that only scratches the surface of everything going on in AGE OF ULTRON. I did not mention how each of the visions shown to the Avengers affects them separately. Nor have I mentioned the budding romance between Banner and Black Widow (I guess things didn’t work out with Betty after all.). Then there’s Hulk’s very public meltdown and Thor immersing himself in the Water of Sight. Also in play is the mysterious figure on the internet that seems to be thwarting Ultron’s attempts. All of this happens and more, and that includes a pair of welcome extended sequences in which the characters are allowed to breathe, get their bearings and consider how these events have changed the team. Add to that the fact that AVENGERS: AGE OF ULTRON finds a place for virtually every secondary superhero seen in earlier Marvel films, not to mention new characters such as Wanda’s brother Pietro (Aaron Taylor-Johnson) and several others that I will not spoil for you here. AVENGERS: AGE OF ULTRON is actually a couple of minutes shorter than the first film, but it packs in about three times as much. That means characters are constantly jumping from location to location. Sometimes it’s hard to keep track of which character is where and what each of them is up to. I have seen this film twice and the film improved a lot when I saw it again, partially because it was easier to follow and partially because I didn’t have to deal with a bunch of hyperactive kids and their defiant parents. But even at 141 minutes, it feels as though we need more time to absorb everything that is going on. There’s a lot of action, with missions and side-missions aplenty, and everyone is given a satisfying character arc. That’s a tall order for any film to accomplish. But it might have played out even better if the audience was given more of a cushion so they didn’t have to try to absorb everything all at once. Still, one cannot argue with how great it feels to be swept along this grand adventure. Some of the best representations of superheroes on film are teamed up and with them, their admirable ideals. Like many people, I was critical of MAN OF STEEL for Superman’s seeming lack of consideration when it came to the safety of civilians during the final battle. From the beginning, the Avengers not only make it clear that the safety of people is a priority; they illustrate that as a defining characteristic that separates heroes from villains. Throughout the film, the Avengers put the safety of innocents as their chief priority, acknowledging that civilians never signed up for these wars amongst titans. AVENGERS: AGE OF ULTRON has less of Joss Whedon’s signature touch that the original, though it is still present. The stakes have increased. This isn’t just a movie; it’s also the foundation from which the next three years’ worth of films will build upon. And as such, it suffers from some very real problems. But when all is said and done, AGE OF ULTRON is terrifically exciting. Not only is it full of the obligatory action, it’s also an emotional roller coaster. This is the chance to see Earth’s Mightiest Heroes back in action. And as I previously stated, I love superheroes. Recommended. Next Next post: Even More Avengers! The Spoiler Room Delivers an In-Depth Analysis of AGE OF ULTRON!